Be more kind. Carpe Diem, Friends! I have been wanting to talk about this for a while from consideration of conversations I have had regarding anxiety and mental illness. I have a few points that I am going to throw out and this may really make some people mad but oh well, I am sure I have way more that can relate. I doubt many will actually be able to make it through this but I want to voice it all. 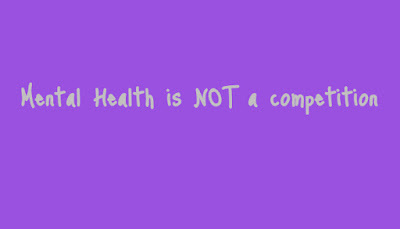 Since when did mental illness become a competition? No one likes struggling with the issues that they struggle with. One person's own issues are just that, that person's. Others may be able to relate but in the long run, that person is the only person that can full feel what they feel. Same goes for how they look at others. It goes both ways. I have mentioned this before outside of mental health in other aspects of life : What may seem minuscule to some may be hell for others. 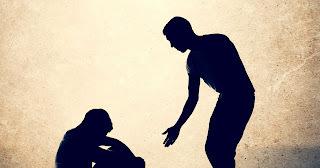 There will always be someone in the world that probably has it worse than others - but that does NOT invalidate one's feelings and emotions and the hell they feel they are going through. Yea, it could probably be worse, but what someone feels in that moment is all that is needed. One thing I have never understood: I speak and see so many people that struggle with anxiety and mental illness. I don't pass judgement for what they feel or say about themselves. I don't scream "oh you're on that cool train of having a problem" (yes, I have seen people say this), I don't claim to say they are lying and I don't judge their severity. So it puts me back when people talk about how they relate to the struggles I have, they get it - but when I say I can't go into a grocery store alone without having a panic attack, I can't drive alone to an unfamiliar place, I can't ask for help if I'm lost or need help with literally anything, that it's so hard to plan out anything ahead of time because I don't know what my mental status will be like that day but at the same time I will freak out without a plan - those same people just don't get it. They don't get it and want nothing to do with me because it doesn't make sense that I attach myself to people and actually will feel completely useless without being with someone. That at times for days on end I will stay in bed, or sometimes days on end I'll be full of life. Those same people call me crazy when I say my mind is a prison and that I am constantly making myself mad. The smallest things can send me into a fit of frustration, if I don't get something - I fight myself because I don't want to quit. I talk about how holding a job is a literal nightmare for me, I have yet to find a single thing I could manage or enjoy doing without losing it from depression, mental breakdown, or anxiety. At times, it's downright embarrassing and it's a damned if I do and damned if I don't situation. Life is funny that way - how as humans, we tend to pass judgement on one another while at the same time claiming to understand. I have problems keeping friendships - not because I don't know how because I tend to light up around people... and not because I don't conversate because despite the anxiety, I push myself to talk to strangers and always give each encounter respect and a smile... It's not because I completely flop in conversations... I just can't keep people interested I suppose. I am a very simplistic person. I don't truly want for much but I'd give all that I have. Sometimes, it just hurts. This isn't a competition. This isn't something that I even want to struggle with - but I manage it. I never say that I suffer with any of these things. I manage them and I struggle but never suffer - I wouldn't be the person I am today without them. While we are pushing hard and have come a long way with breaking stigmas, within our own communities is just as toxic as anyone from the outside looking in. Don't be that person. In today's economy, it can be difficult to plan extravagant date nights or even mundane to simply catch dinner and a movie. While many say that date nights are important in the maintenance of a relationship, it's also important to factor in the types of dates and the stability of those relationships as well as what to build on. 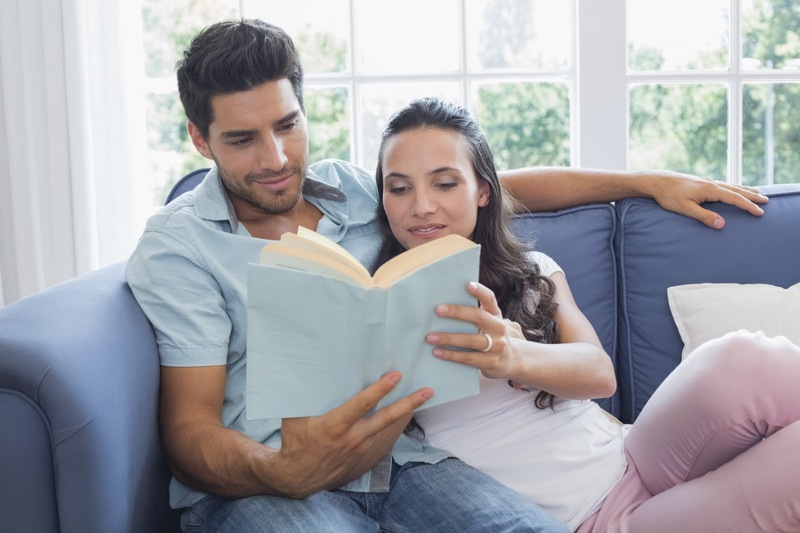 According to the book "For Better: How the Surprising Science of Happy Couples Can Help Your Marriage Succeed", those who experienced exciting date nights were much more satisfied in their marriage or relationship than those who practiced more mundane dates. So, what type of dates then could be considered? First it is crucial to understand the levels of adventure, interests, and curiosities each face in the relationship. Open communication is vital in any relationship and each individual's feelings on certain subjects should be taken into account. These are simply basic relationship maintenance tips. 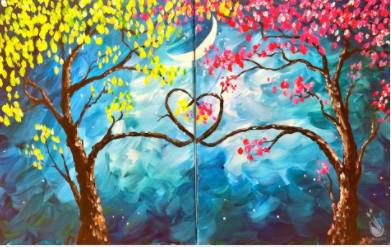 If you're looking to explore the more creative or colorful side of a romantic evening, painting can offer a glimpse into one another's mind. It's easy to look up local classes that offer date night specials in your area or plan a nice evening on your own whether it be at home or outside. Canvases are fairly cheap and come in many different sizes. There are also many different types of paints one can use, though I would lean more towards acrylics. Don't forget the brushes! Overall, this date night may set you back about the cost of a dinner out around $30-$40, however depending on what you buy, the supplies should provide several nights of fun! You could also save some and paint rocks instead! Get a good start on lessons and tips directly through Youtube! Here's a recommended playlist. One of the fabulous things about the internet is having information directly at your fingertips. Dancing is a good way to get active and let loose with one another. Share a couple of drinks, pull up some how-to videos on Youtube, open up a bit of space outside or in your home and feel one another's vibes! It's a good chance to share a few laughs and get a little intimate with one another. 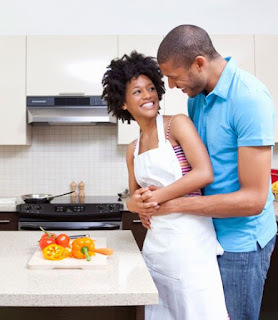 If you and your partner love to cook or are simply interested in learning how to rustle up your own delightful dishes, perhaps it would be a thrill to look into cook-in date nights. Taking in new aromas and experiencing new flavors are sure to put some more spice into more than just the food. Set the table, grab some aprons, and arm yourselves with cutlery. Google some cuisines you've been dying to try or go on Youtube for some fascinating tutorials. Better yet, check out this blog article for some pretty fabulous subscription boxes just for the cause! Sometimes it's the little things that mean the most. A great date does not have to be this extravagant dinner date and can easily turn lunch into a romantic date. Pick a lovely spot that you both enjoy outside or just set up a nice place indoors! Put on some calming nature sounds in the background while you enjoy the meal or relax outdoors. Make sure you pack all of the essentials and don't forget insect repellent! If you need some conversation starters, check out this list of questions to ask your partner or get some great ideas for conversation starters from this list! Maybe even consider a fondue picnic for that sweet tooth. There's just something romantic about the night sky. Find a dark place where the night sky is illuminated with stars and grab a few drinks or some hot chocolate. 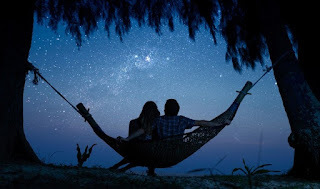 Lay a blanket out on the grass or wherever you can find and stargaze to your hearts' content. Butter yourselves up for the evening with a small fire and some s'mores or just a favorite treat. If you and your partner are really into the diamonds in the sky, you may possibly look at joining a local Astronomy Club. You can even plan this in advance by checking for astrological event dates, lunar calendars, or check out these apps for star charts and more! Opposite of stargazing, go out during a nice day and lay the blanket under the sun instead of the moon. Look up and form images in your mind with the cloud shapes and even make up stories together with the images the two of you have created. It's a nice opportunity to simply stop and enjoy nature for what it is while spending some one-on-one time with your lover. Get the both of you using your hands with more DIY activities to share actual creations. It's not too difficult to find cheap DIY materials for projects or some things that are already lying around the house. There are plenty of laughs to be shared with freaky creations and lots of memories that can last a lifetime. Check out this list on Pinterest for some good starter ideas. You can also take a look at these subscription boxes to have materials and instructions sent right to your door! A tad bit more specific than baking a new dish, but a lot of fun can be had from baking a cake from scratch but once you have the basics down, there is an entirely new world to making this sweet treat. Have a blast with ingredients and put on some tunes while everything is being prepared. Then once dessert is done (it's a date night right? We can have whatever order we want! ), make a pie! A pizza pie that is! There are so many different ways to prepare a pizza, make a memorable one. There's something peaceful and entertaining about pulling out the old board games and cards and just having a quiet night in. An entire evening can be made just with baking, cooking, DIY, or mixing any others while finishing it up with some laughs and games. It's fun to go with the classics, but if you are a more....intimate couple, you may consider these more.... inappropriate adult genre games as well to turn the heat up. ...By balls, I mean bowling balls! Visit a local bowling alley and have a little friendly competition while knocking out some pins. Share pointers with one another and even consider this one for a double date. If you're not so much into bowling, just about any sport will do! Toss a football, cue up, practice hitting some home runs, or even more fun than balls, throw a Frisbee! Just about any activity outdoors will definitely bring a couple closer together. If you have a little extra, visit a GoodWill or other cheap clothing store, set a budget for one another, then pick out an outfit or a few for one another. Make sure to document the journey! Read out loud to one another from your favorite stories. There's nothing like sharing those intimate feelings you get from plot-lines and characters with your significant other. If you don't want to go as far as to share that time, perhaps look at having a few chuckles playing games like Mad Libs to create your own stories by filling in the blanks, or look at investing into "Complete the Story" books. You can also create your own! Take turns creating sentences and every few lines, leave a few blanks for your partner to fill out. You'd be amazed at some of the tales you can tell. If you can't make it to the wilderness, pitch a tent right in your own (or a friend's) backyard! Build a small fire and share S'mores and drinks, stargaze, and cuddle up under the night sky. When it's time to get cozy, snuggle up in a sleeping bag made for two. Incorporate a picnic in with the ordeal, turn off your phones, and pay attention to one another and the world around you. Also check out this cute list of romantic camping ideas. Remember as a kid when you used to build those little forts out of blankets and pillows? No one said you couldn't do that same thing as an adult! Set up a DIY phone projector, surround your living room (or bedroom) with blankets and pillows and stuff a bunch of comfort items and bedding inside. Ignore texts, phone calls, and social media while you snuggle together and watch a movie on the "big screen"..... like big kids. Purchase a Polymer Clay kit and make it a night to work with your hands. Some are even oven safe so you can keep your creations. If the clay kits are out of the question, no one said you were too old for PlayDoh! Look at investing in a few Nerf Guns and set up a small obstacle course in your house or in your yard. Make your rules then fire away! Plenty of fun can be had running around and firing those small foamy bullets at one another. Or, if you're into it, visit a shooting range and make it a competition with the real things. 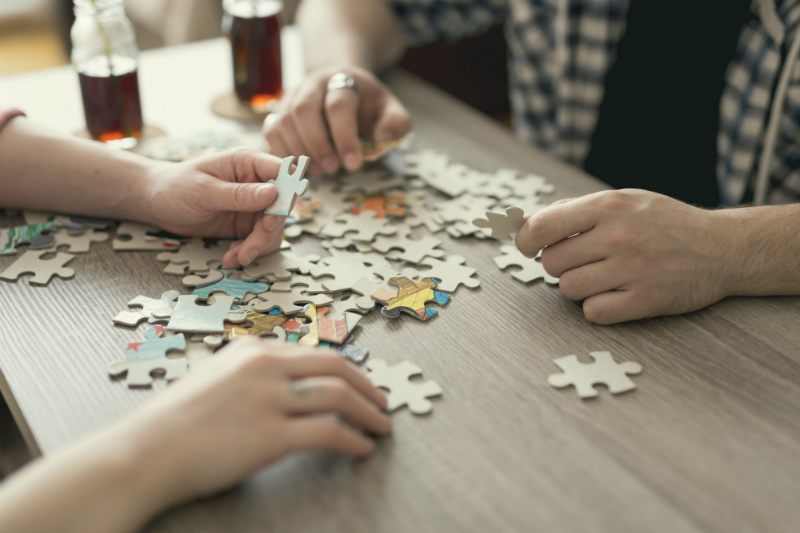 Make a delightful puzzle night complete with snacks, drinks, and some calming music. It can take several date nights to put together an entire puzzle, but it's totally worth it for the time spent together. Once it's completed, invest in some Modge Podge to glue together and seal your completed works and even have them framed. You can also look at ordering a personalized puzzle from a photo to make it more unique. Sing some karaoke together! Pull up some Youtube karaoke videos and really belt it out. Reinvent some duets, serenade your sweety, or have a sing off. Mix it up with a dance from another date night and you have yourself a performance! Find out who really knows it all with a good-old-fashioned couples trivia night. This is another one that is perfect for double dates and group events as well. Go with a theme or have it mixed genre. Either way, it's set for some hard thinkers and sore winners. There are loads of pre-made trivia games on the market or you can either work together or go head to head on some app downloaded games on IOS or in the Play Store. Take advantage of certain times of the year and carve pumpkins, decorate a tree, sight-see lights, explore decorations, create festive DIY projects, and more! Whatever may be the calling of the season doesn't have to be a dreaded time of the year, but can actually be used to a couple's advantage to make for great date opportunities. Download the app to your mobile device through Google Play or the App Store and explore the world around you all while searching for hidden treasures. This makes for a wonderful opportunity to explore more of the areas around you while spending some great one-on-one time with your partner. You may even find some good eats and places of interest along the way! Learn more about Geocaching here. Get the angles just right and go out for a couple's photo shoot. Get the camera ready and find a nice place with a scenic background, say cheese and snap away! Have some fun with different angles, play around with different themes, and don't forget to take some silly memorable snaps together. It may be worth looking into investing in a selfie stick or some sort of tripod to get those wide shots together. It may even be fun to hit up a local Goodwill for some costume pieces or mix-match some clothing articles and accessories from home to create some drastic looks. If paying for a full trip to a spa is out of the question for a night, make a spa day at home! Soak your feet in a homemade foot bath for super cheap or rejuvenate your pores with a homemade face mask. Take a little time to learn a bit about pressure points and how to give a basic massage for your partner. Play with one another's hair and even have a bit of fun with some temporary colored hair chalk. Share the heart you gave to one another with the world. Look up local volunteer opportunities and dive all in. Make it a point to make a change together and your love will go far. Look at advocating projects, fundraising opportunities, clean up jobs, fostering, and anything else you may be able to learn and grow together. Look at investing in a huge collection of Legos and create your dream house or even your dream town. 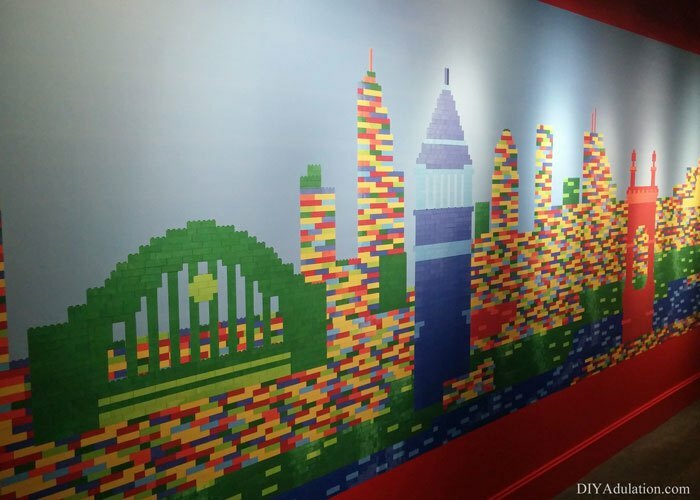 There are loads of other things you can do with Lego's including a catapult competition, kit assembly, as well as image creations. This may also be a good place to mention model building, there are loads of different models available on the market that would intrigue both partners. Create a script together complete with prop usage and ridiculous lines then record each other acting it out or have someone else record for you. Or, if you aren't the acting type, perhaps you'd prefer watching someone else act... look up local high school plays, college plays, or anything on stage that you may be able to make a date night out of. Take a walk through town or pull up Google maps for a detailed view and go on a little trip. Discuss different scenarios in which apocalyptic situations could occur and where you are in that moment and time, make your survival plans. Create a list of rules of survival and prep details. For some portions of the world, Spring and Summer are upon us and with these life-filling seasons also comes allergies. 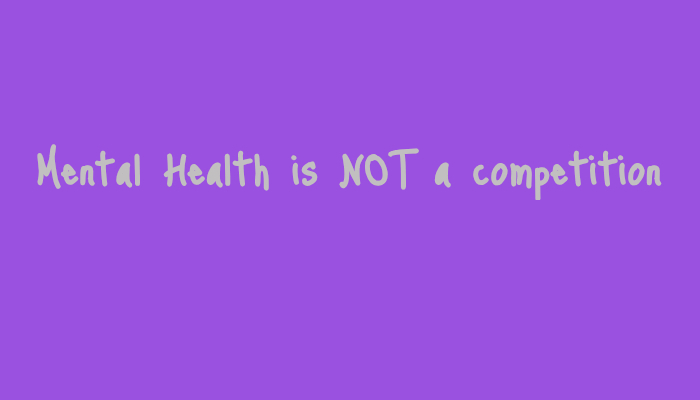 So many are forced to manage puffiness, closing airways, watery and itchy eyes, and even skin irritations. I have done a bit of searching around for myself and decided to compile my findings for home-based remedies (or more-or-less comforts) for allergy season. Please take note that I am not a doctor and none of this information should be taken as medical advice. If you find yourself having severe effects, please contact a doctor immediately for treatment options. Is a plant from the ginger family found in Asia, often used for coloring of food as well as addition of flavor. It is very well known as a successful anti-inflammatory agent as well as an antioxidant. Curcumin is the main active ingredient in turmeric powders however it is said the percentage is quite low. For the full benefits, it is said to eat peppercorns (or with the addition of pepper in general) along with curcumin to be properly absorbed. 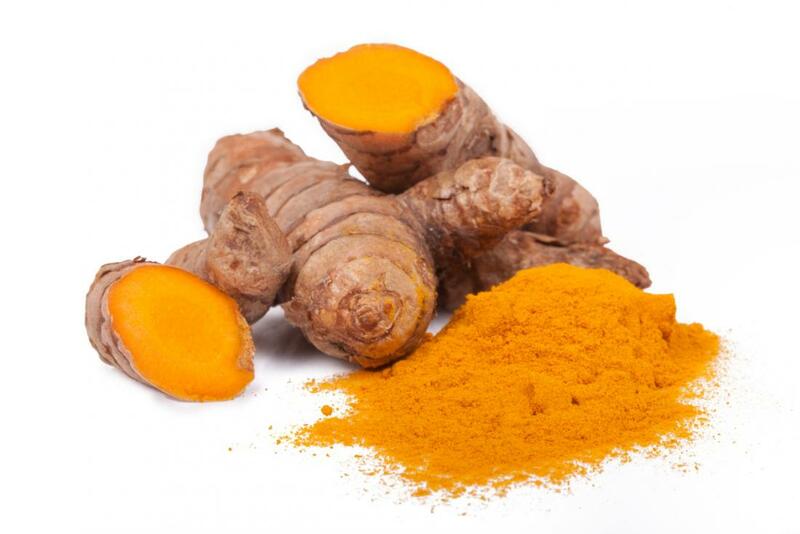 Otherwise, adding more turmeric to your diet would give some impact enough to bring ease to symptoms. There are many other benefits of increasing turmeric in your diet than simply allergies, but I may touch on those another time. Turmeric is already found in most mustards as well as currys, which is how they get their yellow coloring. Turmeric powders are also readily available for additions to any dish and there are many available recipes online. Two known bad-guys are the main cause for allergies and they are allergens and histamines. The issue with histamines in the body however, is that they greatly impact the water flow within the body. 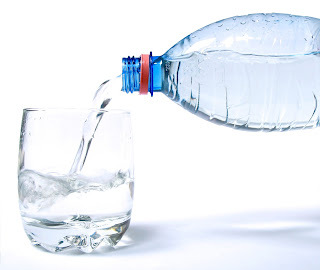 One of the best things that can be done to fight back against the allergies is to properly hydrate. That amount of water can vary per person dependent on a number of factors. 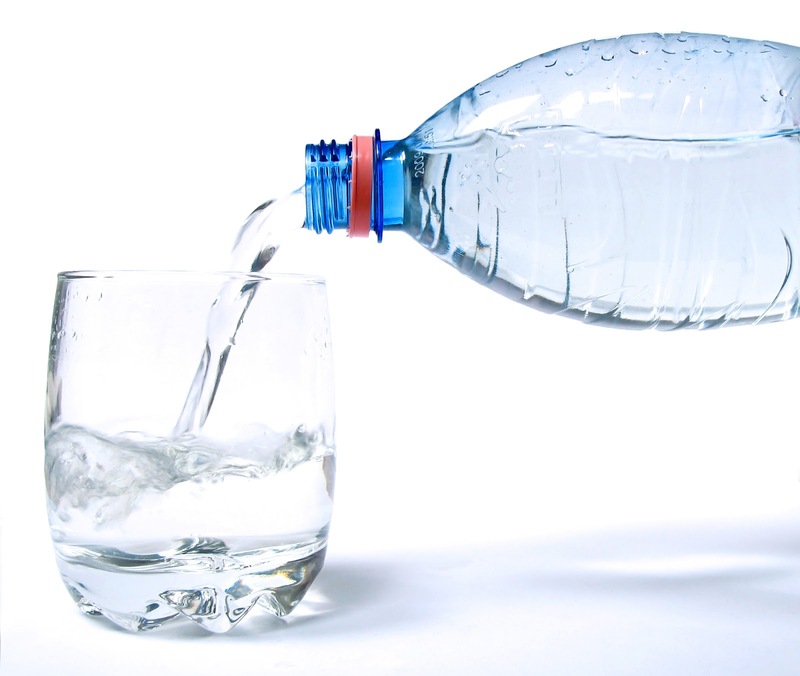 Even electrolytes could help push things along when added to water intake. There are many foods that contain electrolytes in a balanced diet as well. Honey! 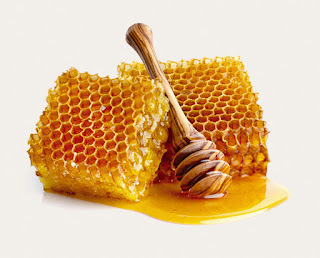 more specifically, local honey. Natural pollen is transmitted with the pollinators when visiting plants and creating that sweet honey. It is said that if a person regularly consumes local honey, they would be subjecting their bodies to smaller amounts of the allergens - a similar idea to how the flu shot works. This route supposedly works over time however, and does not always provide relief. Though, mixing a bit in with a warm beverage would ease the discomfort of an itchy throat! Vitamin C is a well known antihistamine, antioxidant, and antitoxin. 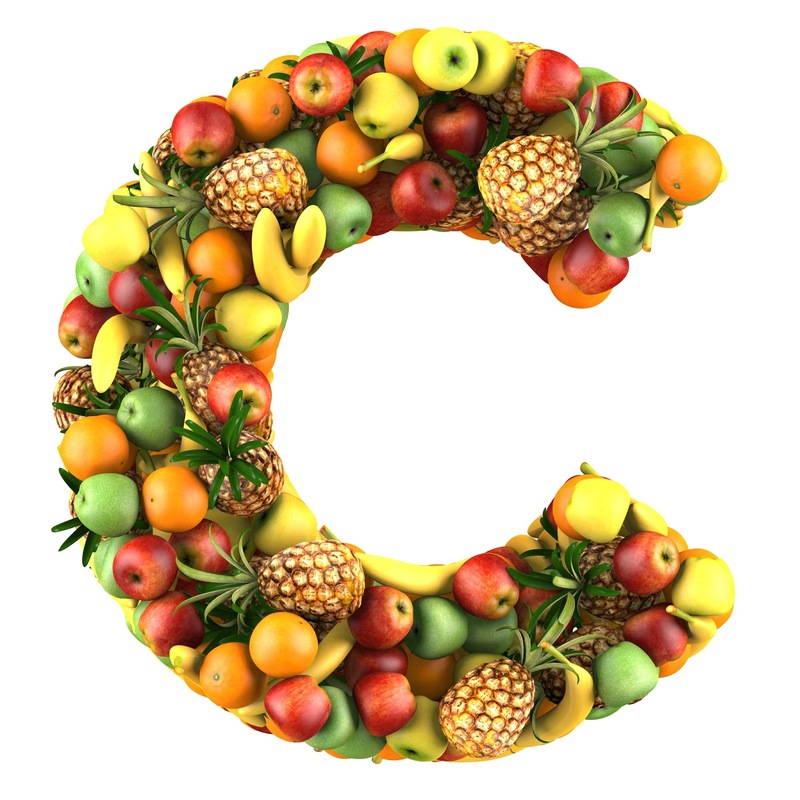 Many foods offer vitamin c naturally to add into diets - strawberries, oranges, citrus, lemons, grapefruit, papayas, and more! Found in the stem of a pineapple, bromelain is a natural remedy for many things, including the horrendous allergies. 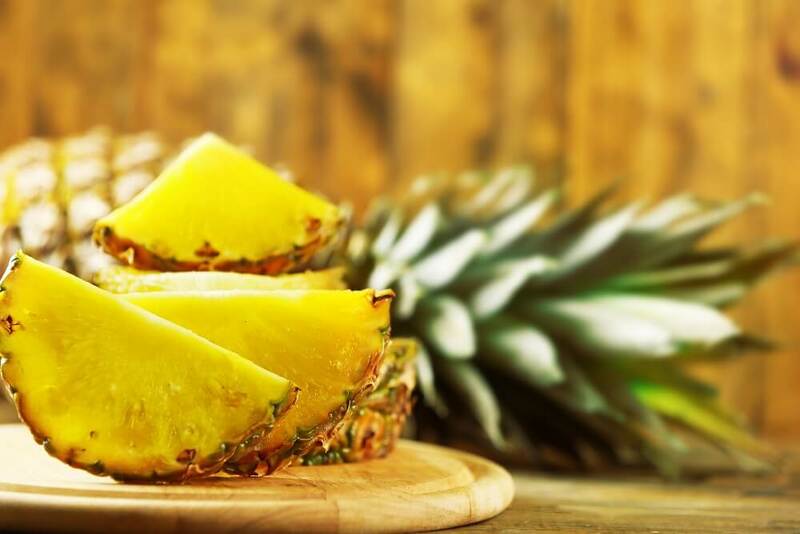 It can be found in pineapple juice and is said to target many ailments of allergies including inflammation as well as bringing comfort to coughs or scratchy throats. 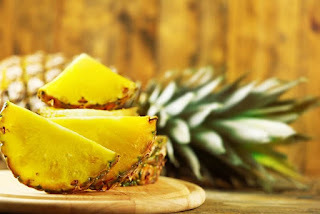 Research has been done on the use of bromelain for allergies and asthma finding that it reduces allergic sensitization. Turmeric has already been mentioned but there are many other spices that can bring comfort as well as flavor to your dish. Look for cinnamon and licorice root if you're feeling for a hot tea for assistance with opening the airways. 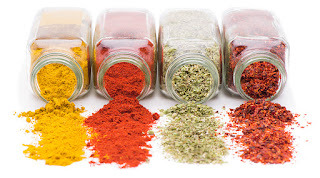 For anti-inflammatory, look for spices like horseradish, ginger, onion, garlic, or crushed hot peppers. This old method has been around for what seems like eternity (and maybe there's a reason for that?). These aromatherapy allergy remedies seem to revisit those of cold/flu remedies. 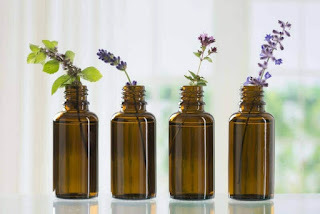 Lavender, Peppermint, Rose, and Eucalyptus oils seem to be the more favored for opening the airways and bringing a calm sensation over the body. 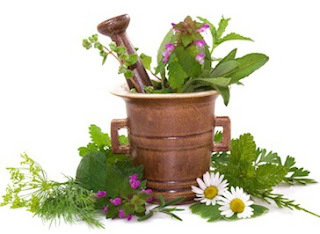 They all also have many other uses, even for topical treatments! Check out this article for more in depth information and the science behind it. Natural herbs such as Elderflower, Goldenrod, Reishi, Horehound, Nettle, and so many more can often be incorporated into teas or side dishes. It is highly recommended to research as much as possible for many of them. Your home should be a safe-haven from the outside world. Do your best to keep bedding, furniture, clothing, and even pets clean from allergens. Line-drying can capture clinging pollen that will harbor itself in your home. Keep the eyes flushed with cool water to rinse allergens, bathe and wash clothes after coming in from outside. Keep pets clean as they easily track in all sorts of hazards. 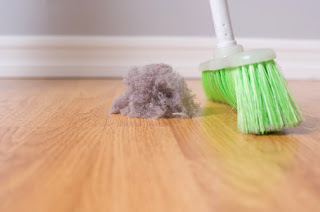 Carpet is a worst enemy for allergy season, keep vacuumed or pull it up all together. Another investment idea would be an air purifier. 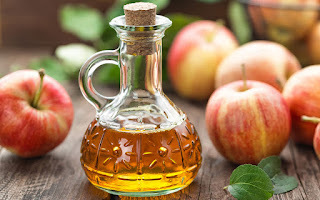 It seems this vinegar is brought up fairly often for home remedies. It contains acidic levels that the body needs for natural pH, vitamins, among other things. 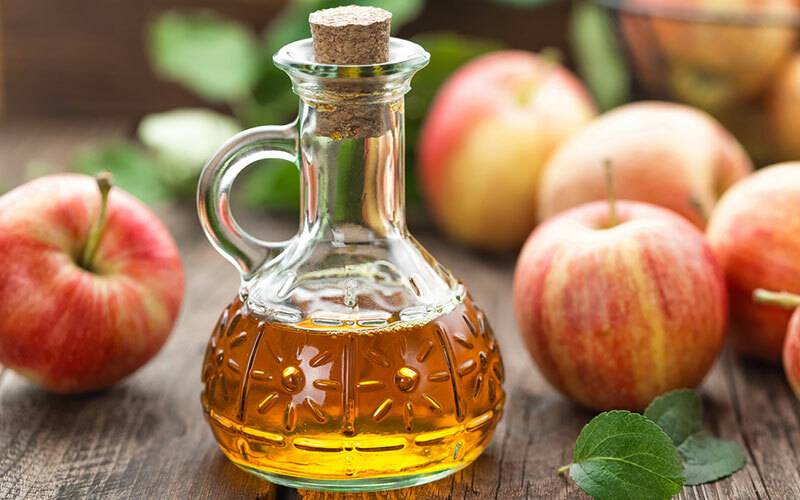 There are many ways to incorporate more apple cider vinegar in the diet, and also brings loads of more benefits for the body other than allergy relief. 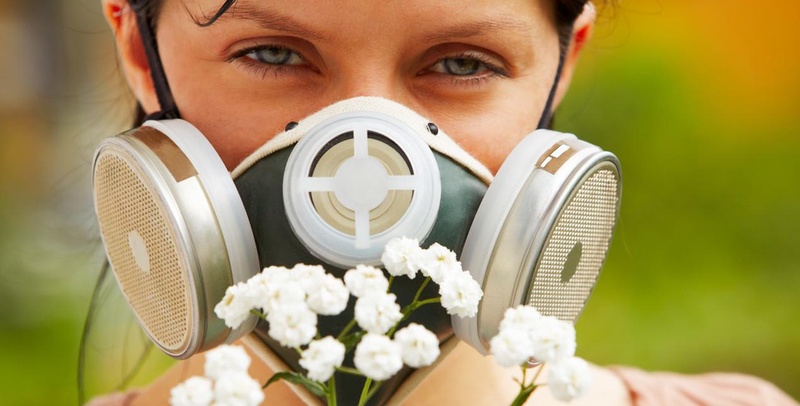 Surprisingly easily overlooked is one factor that creates a tragedy for allergy sufferers - cooling the air around us. The nice weather outside brings the urge to open windows and let in the nice, fresh air - however even with screened windows, allergens can easily enter the home through this route. Another overlooked hindrance would be the use of fans. 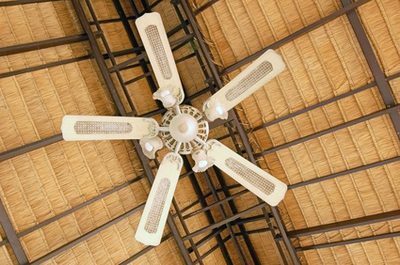 It's often craved - and necessary to provide circulation with fans however any allergen that enters the space will only be blown about and scattered further. In a very small town, there lived a man named Theo who was very hard working and known well for his honest salt trading business. 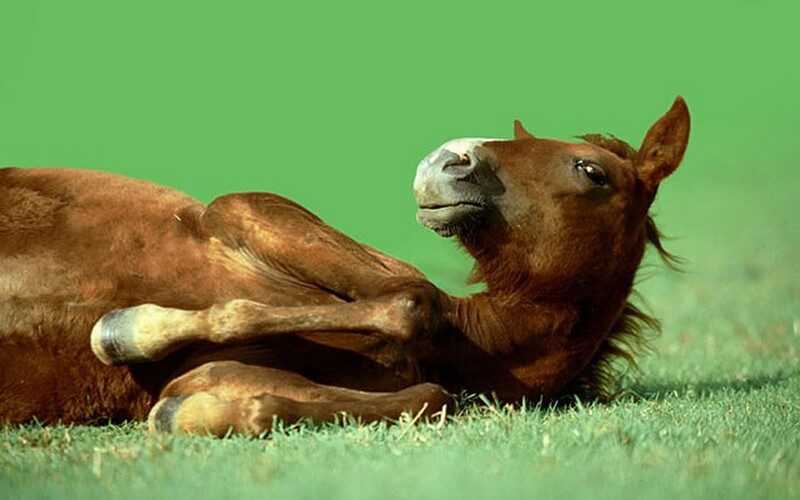 Theo took in a horse whom he named Butter that he had intended to be his work horse. They worked well together for several months until Butter started to become very lazy and would try his best to avoid work. Butter's job was to help Theo carry the sacks of salt from his home town to the neighboring towns for sale. It was quite often that Butter would have to cross a bridge over the river to make it to the next town. One day, Theo loaded Butter's pouches with salt and sent him on his way across the bridge for a delivery. While the horse started trotting on his path, Theo began to prepare himself for the journey. Butter groaned at his situation when suddenly he slipped up on the bridge and fell into the river. As he climbed out on the other bank, the salt began to dissolve in the water, making the bags noticeably lighter. This gave Butter a mischievous idea. 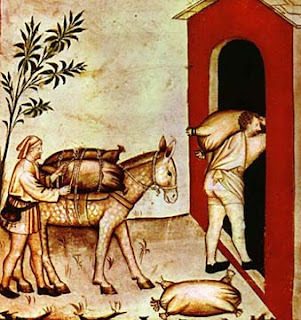 By the time the trader had caught up to his horse, he realized he had only half of what he loaded was there so he sold what he could and felt it must have been a miscalculation on his part. The next day, he loaded Butter and sent him ahead once more as he packed his food for the journey. As the horse came upon the bridge, he leapt into the river, again happy that his burden was lightened by the dissolved salt. Again, Theo only had even less salt to sale than the last time. This went on for days, each time, the salt being less and less. Theo decided to follow Butter to see what could be happening to his salt. 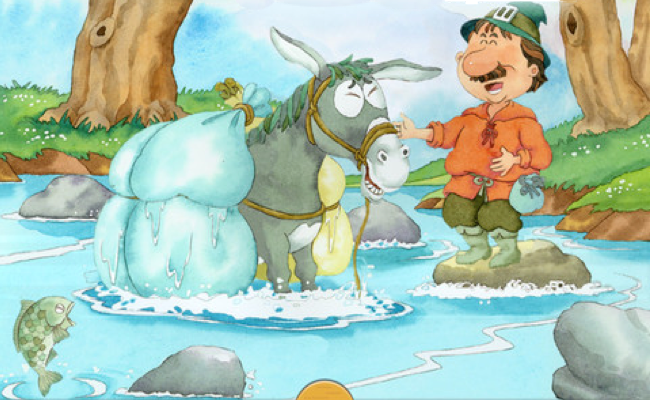 As they reached the bridge, Theo watched his horse leap into the river and his salt dissolving in the water. Theo decided to teach his horse a lesson. The next day, instead of salt, he filled the sacks with cotton and sent Butter on his way. 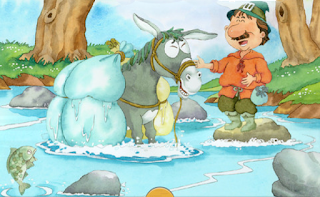 Like before, the horse leapt into the river in hopes to dissolve the salt and lighten his load. The cotton absorbed the water, making the load much heavier than before. The horse struggled, hoping the more he dipped, that the load would dissolve. He finally gave up and sat on the bank, panting in exhaustion. Theo caught up to the horse and said to him "I take much pride in my work horse. It is not nice to play tricks on others just to avoid your work. I do not make excuses to avoid work." 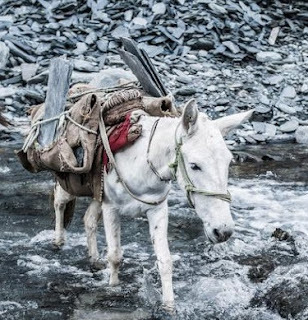 The horse understood and from then on, took much pride in his deliveries and never again tried to fool his working partner. This is a great opportunity to help animals in need as well as to earn freebies for your beloved feline. Paw Points is a program through Fresh Step (yes, the cat litter company) where they give you opportunities to earn points in a few different ways. If you purchase Fresh Step, you can upload your receipts to earn points, tweet, share on Facebook, watch a video and more to rack up your points. You also have the chance to choose a local shelter and donate your points which in turn provides much needed supplies for your local shelters! If a reward you are wanting to grab is out of stock, don't worry! They do rotate their stocks every few weeks so keep checking in and saving up those points! BONUS! : Type in code THANKYOU2018 and code PAWSOME2018 for extra points! Recently, Steve had a minor car accident. He put his car in the garage to carry out the repair work. Since he still had to go to work, he decided that until the car is ready, he will travel by the metro train. One day, he noticed a homeless man at the train station and felt pity for him, so he gave him some change from his pocket. Steve then asked him "What do you mean by that?" Steve understood what the homeless man meant and thanked him for the good advice. Moral: Helping others is not a bad thing, but sometimes, while we are helping others, we forget our own problems and needs. One must remember that sometimes sharing is better than giving away. You can do a lot more by being in a strong position instead of bringing yourself into a weaker situation. Johnny and Andrew were two friends out enjoying the forest on a holiday. They were hiking along, taking in the view when Andrew suddenly heard leaves and twigs cracking behind them. As he turned, he happened to notice a bear was coming straight towards them! Andrew shouted in paralyzing fear as the huge beast came barreling at them. There was no way he could see himself fending off this bear so he quickly turned and darted off before Johnny even had a chance to realize what was happening. Andrew quickly climbed up the nearest tree, desperate to escape the bear, but did not think of Johnny who was left stumbling along behind him and incapable of climbing. Though Johnny was terrified, he thought quickly and fell to the ground and played dead, hoping it would detour the bear from attacking him. The bear at sniffed him then whispered into his ear. Johnny trembled as the bear went on his way. "What did the bear whisper into your ear?" Johnny replied, "The bear warned me to keep away from friends like you"
then turned and he too, went on his way. MORAL : Be careful who you allow to hold your trust. Not everyone will also provide a hand. Care to donate to the blog manager? All rights reserved. Copyright The Grab Bag. Simple theme. Powered by Blogger.